Small Business Saturday is back, giving firms the chance to showcase their companies and attract a raft of new customers. The campaign returns on December 5 and hundreds of small businesses across the South East Midlands are expected to take part. Here’s our handy guide giving you all you need to know about Small Business Saturday. How is Small Business Saturday UK funded? The grassroots campaign is run by Small Is Big CIC, a community interest company that is not-for-profit, existing only to serve the interests of Small Businesses. Where did Small Business Saturday come from? 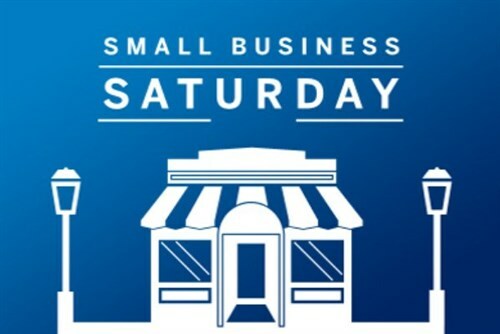 The Small Business Saturday movement was founded in 2010 by American Express in the US. American Express is a founding supporter in the UK. The campaign exists as a nationwide promotional tool for small businesses. It also delivers help and advice alongside opportunities to connect with other small businesses. In short, it aims to support, inspire and promote small businesses. Everything it does is free for small businesses, start-ups or entrepreneurs. For the campaign, any business with annual revenues under £10 million in 2014 in the UK. Visit www.smallbusinesssaturdayuk.com/terms-and-conditions for more information. What kinds of small businesses can get involved? All and any! From a one-man-band, through to a high growth office; from a plumber to a social media guru – whatever your business, whatever your size, whatever stage you are at – the campaign exists to help you! What happens on the actual day? or offers and others collaborate on a local level to put on street fairs or group offers. Be inventive! What happens for the rest of the year? The Inspire Series runs all year round and sees a number of free workshops take place up and down the UK. A lot of supportive digital content is also available throughout the year.